The draft is pretty much ready. 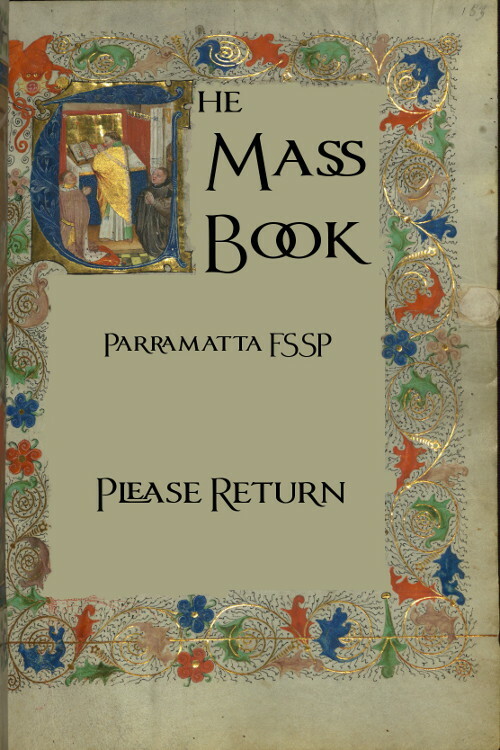 There’s the odd suggestion for extra prayers to squeeze in, and I wouldn’t mind a plain one colour cover, but the digital book printing machines give full colour covers as standard. 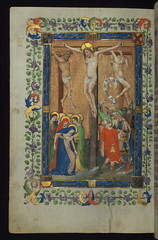 The Walters Art Museum has put up a heap of Illuminated Manuscripts under a Creative Commons license - Attribution-NonCommercial-ShareAlike 2.0 Generic - which is perfect since we’re not selling the books. There is the issue of how to pay for the printing - and though it is a bit of a topic that no one likes to discuss, I think it might be worth mentioning. If we can share the cost around then there’s less chance of bitterness on any side. One Bunnings BBQ fundraiser would cover it - we would need about half a dozen volunteers for a Saturday morning at Penrith. Or ask people to sponsor a book at $7 each/3 for $20/10 for $62. Would we go for a thanks to the donor sticker inside the back cover or an “in memoriam” or just anonymous. We have copyright permission for 200 copies. So that’s the thoughts to this minute. 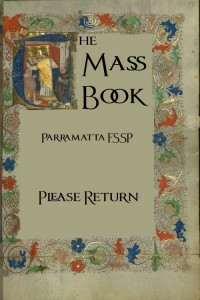 Back to practice for this week’s three Sung Masses!